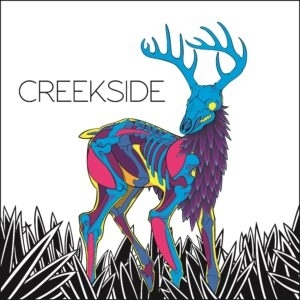 On this new record, Creekside brings a nice change of sound from what they brought on their first two releases Full Circle and Hills//Valleys. It seems as though the band has progressively changed their sound to be more cohesive and overall sonically better. With their first EP, the band was still figuring out what they wanted to be and where to start as a band. 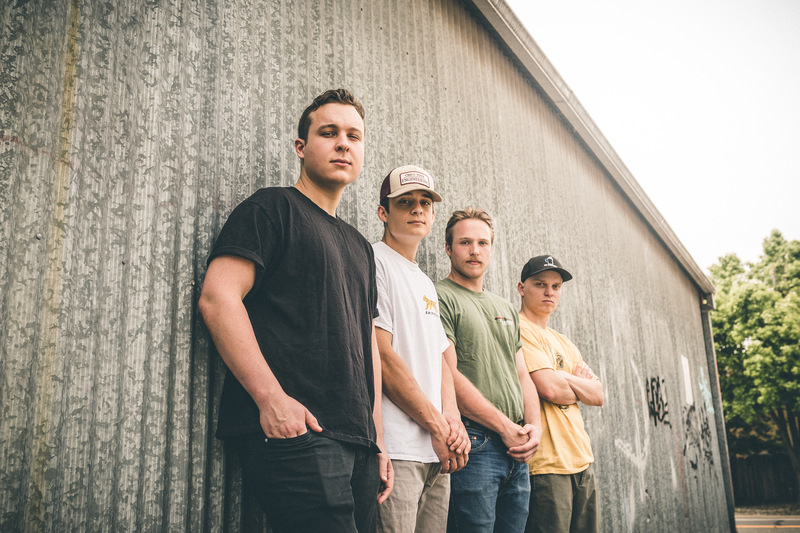 With their sophomore release, they had an idea but decided to expand a little more and embrace some heavier influences. Now, with this third release, the band is taking a different approach this time around and creating music that’s a little more laid-back, yet still hits hard. Honestly, a great intro track to their new sound. 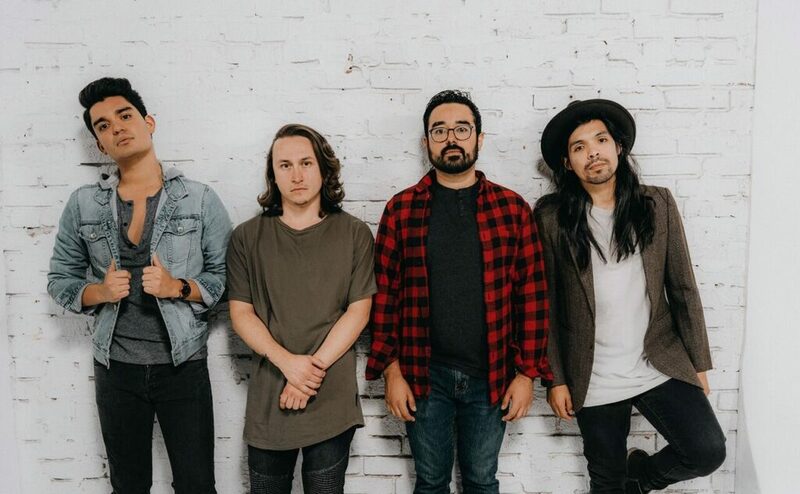 In previous releases, their bassist/vocalist Grant Sanchez was the sole vocalist for much of it, with guitarist/vocalist Tanner Kane adding some back-up vocals and harmonies. Sir Robert Burnett starts off with Tanner singing over a guitar riff that sounds like it’s out of a 2000s teen drama(that’s a compliment). This is also a song which is highly reflective of early-adult life and personally hits home because of title eluding to the cheap vodka known as Burnett’s. There are some lyrics throughout that are a bit generic, particularly the ones about ships sinking and oceans, but nevertheless, the message is uplifting and inspires hope in the listener. I believe the chorus is where the melodies truly get stuck in your head. The line “4 cups of coffee deep”, definitely hits a little too close to home, as I down my first cup of the morning as I type this. One of the later chorus’ quickly transitions into a build-up before the bridge section. It’s essentially a half-time section but does contain some tasteful guitar leads which add some variation. I do enjoy how the band ends the song, on a much lighter vibe. Just as the song started with vocals and guitar, the song ends just the same, with their vocalist Tanner muttering the lines “As I watched my parents drive away”, heavily eluding to moving away from home. Great job overall. This song starts off with vocalist Grant Sanchez starting it off, however, the song does start again with just vocals and guitar. It would have been nice to hear some variation in the intro of songs but nothing that ruins the track. Again, the chorus is killer. Not sure what it is but this group knows how to get a melody stuck in your head. The bridge section on this song is a bit more grandeur and meant to feel larger than life. The layering on this section of the song is well done, props to their producer/engineer Ben Hirschfield for that. It ends the same sort of way as the intro track, which is monotonous in a way. Perhaps they could’ve moved this song to a later point in the record or possibly just ended on the bridge to make it a bit different. Finally, a song that starts off with something other than guitar. I mean, it does have a guitar but there is a lo-fi drum beat in the background which keeps the beat driving. I do appreciate that the band doesn’t tagline all their chorus’ with the song title, and with this song they only say the word Decay once in the entirety of the song. The chorus is catchy as always, and there is a neat slow-down of the chorus at one point that keeps the listener attentive. The ending is solid but very similar to the two songs prior as well. This is by far the most experimental track on the record. I only say experimental because there is lots of use of effects on the guitars. As well, it’s not as formulaic as the other songs on this release. I do appreciate the bass line on this track as well, it’s not too busy but does give us some variation instead of just sticking to the root note. This song does have the title at the end of the hook, yet it doesn’t bother me how other genres like country tend to go about it. The bass break near the 1:55 mark is tasteful and has a good tone overall. I do love the weird effects going on in the background. They add some sonic elements that would otherwise be missing if it wasn’t there. Musically, the end section has a bouncy feel to it and changes up the vibe of the song drastically. Not too drastic, however. Vines is probably my favorite song on the EP due to the band going out on a limb and trying something new for a change. This time around the band starts off with just guitar, which, I’ll admit, is a bit different than the guitar/vocals intro that I’ve addressed. Overall, a much more straightforward kind of song. It leans more on the pop-punk side of things, mainly due to the drum rhythm and chuggy guitar section during the verse. The one thing this band does exceptionally well is writing catchy hooks and memorable lines. For instance, the chorus repeats “I’ve been drinking all alone, taking drugs to feel at home.” If you’ve ever been in a darker place, these lyrics can hit hard. The bridge is your usual soft-guitar and vocals. Not badly done, but in my opinion it’s a cop-out technique.